Enjoy adequate space for any size boat. Protect vessels from environmental damage with covered storage. Be assured by 24-hour video surveillance and on-site management. Get your own individual gate code. Get your boat anytime with full access and easy drive-up spaces. Avoid administrative fees and deposits. Month to Month terms available. You want your recreational vehicles ready to go when you are. Cardinal Self Storage offers a safe berth when you need it, whether that is next season or next month. 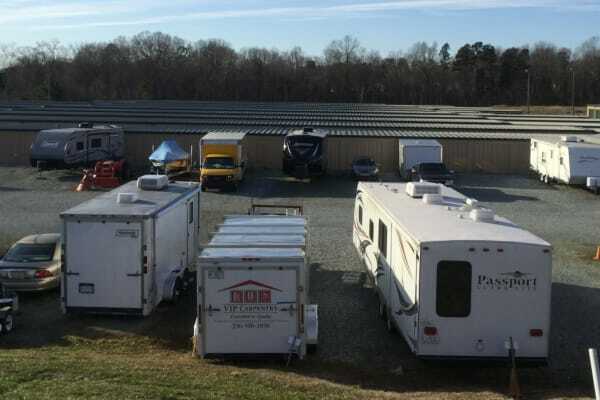 Covered RV and boat storage keeps vehicles in good shape and looking fresh. Call us today to talk about a great space to store.